Producing a meaningful event is hard. 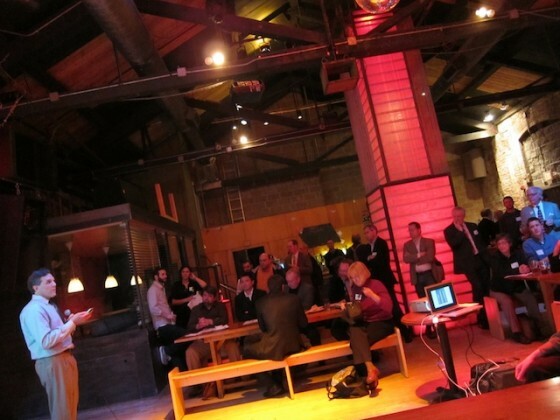 Producing an event that encourages dialogue that leads to innovation is near impossible. Yet, shouldn’t we try? My time is too valuable to pitch it away to a panel of talking heads with little meaningful discussion. Today’s professional events need to address our new paradigm in better ways. Meaningful, exciting ways. My time and attention is worth that much. This post is a little off topic from our normal discussion of how life collides with urbanism. However, so much of what I have been doing lately is organizing people that it seems worth a post. Ok, so how does a new paradigm event get done? I had the pleasure of working with a fantastic group of CNUNE members on the production of the recent Sustainable Urbanism Summit. This small group was able to pull off an exceptional meeting that was interactive, inspirational and, perhaps most impressive, produced on practically no budget. Robert Orr and Robin Bergstrom deserve a massive thank you for taking on the leadership of this effort. The Summit would not have been the event that it was without their passion. That is the first lesson: let passionate people run things. But, what else matters? 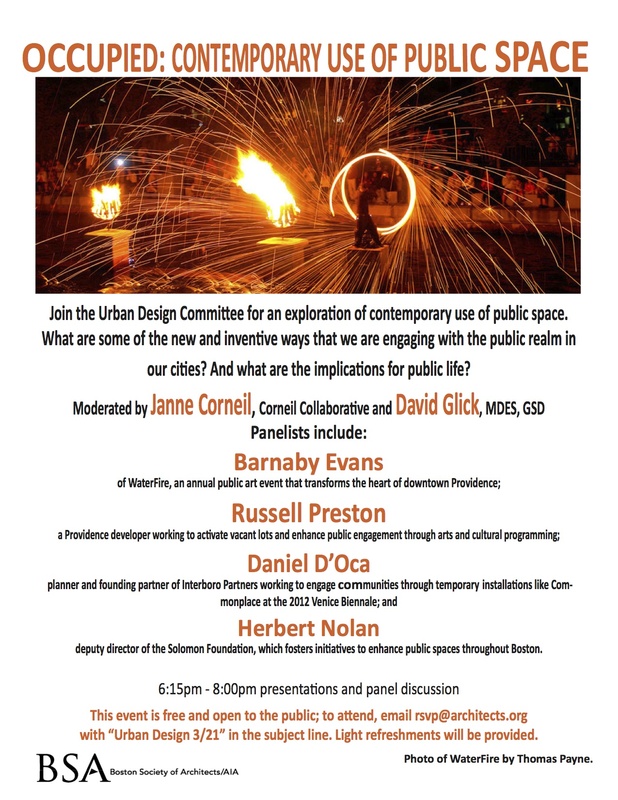 Below is how CNUNE produces the Sustainable Urbanism Summit. These guidelines only plot the course. It seems every year things change due to new ideas. Which is perhaps lesson two: stay flexible. You could get on quite well with only these two lessons and produce a fine event. No matter how much planning is in place things come up, and having great people on the team who are not afraid to change is key. What events have you been to lately that were full of meaningful discussion and ideas? And if you have run one of those events let me know what you think of the event production guidelines below? The New England Chapter of the Congress for the New Urbanism (CNU New England) hosts the Sustainable Urbanism Summit annually in a transit accessible New England community with the goal of creating a forum for the exchange of ideas for improving our regions built and natural environment. Throughout its history, CNU New England has focused on the improvement of the human habitat. After many years of advocacy and design guidance, the organization feels that now is a critical time for action. As the political and economic conditions of our country change, it is imperative that we tackle our environmental crisis, collectively identifying challenges, exploring opportunities, and planning for a better, more resilient way of life in New England. Our hope is that the speakers and the discussions one experiences at the Summit will both inspire and better connect you with professionals, public servants, academics and citizens that share a commitment to improving our built and natural environment. New England has the physical framework to become a model for sustainable urbanism at every scale. Healthy and complete town centers can be one of the most comprehensive solutions to climate change. Building on this idea, we urge attendees to take advantage of the ideas discussed at the Summit. Now is the critical time for our region, we need your help to solve the critical challenges facing our villages, towns and cities. Produce an experience that inspires all into action. Create a platform for connections and projects to be created. Provide our speakers with an engaging audience. Make sure everyone has a fun and memorable time. One lecture hall that has good light and inspiring architecture. The capacity should leave no chairs empty. Moveable chairs are best. The room should have fine details and grand features that will enhance the presentations. The venue in general should reflect the importance of the Summit. Space for up to 10 breakout group meetings. It is ideal if several or all of these can happen in the lecture hall. Other meeting rooms should be located very close to the main hall to encourage cross pollination between small group discussions. Free space is best, but low fee space is acceptable. Religious and community meeting halls have been successful venues in the past. The group of speakers should be as multidisciplinary as possible. Strive to include all industries that might effect the built and natural environment. There should be at a minimum two big name speakers. These marquee speakers should draw attendees, and can help kick off and conclude the program. Several of the speakers should not be from New England states. This insures that we import new thinking into the region. At least one of the speakers should be “out of left field”. This speaker might be minimally related to the central theme of the Summit, but brings a unique perspective. This “sideways” speaker’s presentation will hopefully be refreshing and provocative. A little surprise is good. Keep the ticket price low, and announce early so municipal people can get a request into their budgets. As much as it is hard to believe, not everyone uses Twitter and Facebook. Tell the story of the event to people. Word of mouth is great. Make sure people know what to tell other people. Lock in a city and venue. Before committing fully to a date make sure any other regional conferences or large academic events do not occur on the date. A Thursday night start, and all day Friday event works best. Announce event on main CNUNE website. Begin production of the Summit Website from the template. Lock in the marquee speakers. Create a short list of speakers. Scout out a pub or drinking hall for the night before cocktails and kick-off speaker. Launch event website with date, marquee speakers, location and early registration instruction. Begin to blog about everything that is going on with the Summit production. Finalize speakers list with first and second choice speakers. Finalize the kick-off cocktail location. Contact colleges and universities to begin outreach for registration and volunteering. Create fundraising plan and sponsorship packages. Make fundraising calls to sponsors. Scout hotels in the city, and inquire about deals for groups. Invite key bloggers and press to the event. Key speakers should be on the website. Headshots and bios for each speaker are important to include because the Summit is heavy on speaker interaction. It is all about the speakers and we need to market them well. Links to speakers websites and blog should be included as well. Create draft of the program & schedule. Communicate with speakers who are traveling. Make formal call for volunteers. Finalize any hotel deals for the Summit group. We should not be committed to having to fill a certain number of rooms. Continue to update the blog. Work to confirm final speakers. Hit 50% of fundraising goal. Collect checks from pledges, and put their logos on the website. Recruit partner organization. Send them text for an email blast to their members. Add them to the website. Update industry publication about the event. Make sure it shows up in their calendars & announcements. Email information on hotels and travel. Finalize tour details if occurring. Finalize extra workshops if occurring. Select volunteers from applicant pool. Recruit video or reports to capture the event. Followup with key bloggers and press about attending the event. Begin blogging about individual speakers to help marketing. Interview speakers if possible. This should be a “sneak peek” and should encourage registration. Begin email series of “Top 10 Reasons to Attend the Summit”. Confirm travel details for speakers. Confirm AV requirements at the venues. Post draft schedule for the program. Review second draft of program. Assign equipment and material procurement. Complete “Top 10 Reasons to Attend the Summit” email blasts. If registration is full announce it. Send thank you to volunteers and remind them of their instruction. Confirm final details with speakers. Confirm event bloggers and documentation is in order. Issue production team and speakers contact list. Cell phone numbers should be included. Post final schedule and program to website. Email team leaders will any last minute changes. Confirm any last minute program changes. Update schedule if needed & post to website. Print sign-in-sheets, name tags, signs showing the way to the event, etc. Good luck with your event. I hope this guideline can help in some little way make your event a more meaningful experience for all involved. Keep an eye on www.cnunewengland.org soon for the outcomes of the Sustainable Urbanism Summit. This entry was posted in Practice, Urbanism and tagged CNU, Event Planning, Practice, Sustainable Urbanism Summit on April 6, 2011 by Russell. How many of you have a sketchbook? How many have it within 5 feet of you right now? I carry a sketchbook with me at all times. Ideas, images and nice buildings pop up around every street corner and, seemingly, at every café I find myself spending any time. Some friends over at the RISD Graduate School of Architecture invited me to give a talk about how to draw. I normally don’t think about how to draw, I just draw. But, this exercise in self-understanding was informative, and made me realize that I had not thought in detail about artistic technique since teaching drawing class at the University of Miami with Rocco Ceo. Thanks again to Emily and the RISD Graduate Architecture Program for making be ask myself how I draw. It starts with the sketchbook. As a kid I had a large, almost cartoon like, art teacher who talked about your mind’s eye. This was an abstract idea at the time, but I have carried the concept along with me throughout my education and into professional practice. To draw well you need to be able to see well. Your visual reference library must be extensive, and your powers of observation finely tuned. Here’s a little test. Pick an object in view. Give yourself a few moments to really look at it, don’t worry I’ll wait. Study its shape, color, details, ornament and all the other unique features that make it memorable. Now, close your eyes and reconstruct the object in your mind. Keep them closed for 30 seconds. Open and without looking at the object again draw it… How did you do? Now try it again, but this time instead of just looking at the object make a quick sketch of it in your trusty sketchbook. The simple act of observing and documenting helps upload the object into your minds reference library. Building these reference images is a vital part of being able to draw well. However, the simple practice of trying to copy something with pad and pencil is just as important. As a designer and urbanist I have come to enjoy not only observing our built and natural environment, but also sifting through the city or university libraries for volumes of plans and images. If one strikes my fancy I make a quick sketch of it. With careful observation, I copy the details, proportions and signature elements of a design. Hopefully, through the process learning not only what makes the design remarkable, but also committing those elements to memory so that one day in the future I might come to reference them again. There is only so much you can learn from sitting in a library sketching from books. One needs to travel to further enhance the mind’s library. 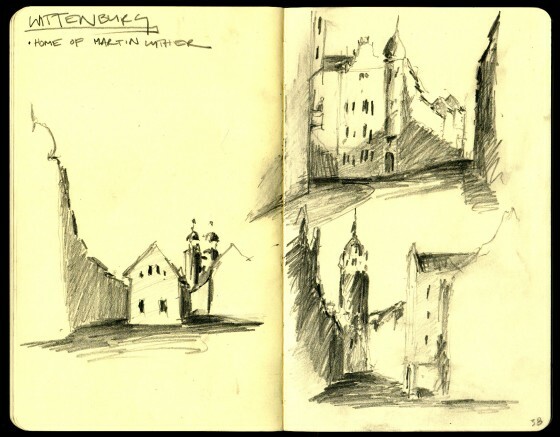 The images associated with this post are from several of my travel sketchbooks. Over the years, I have come to find that there is valuable urban and architectural design lessons to be learn all around us. Documenting these lessons with watercolor, pen or pencil has been essential to strengthening my mind’s eye. I have found that the best sketchbooks for the field are Moleskins. This is no surprise to those who have used these books before. They are sturdy, well sized and have good paper options. Too often today the digital photo is taken in exchange for the field sketch. Photographs will not improve your drawing abilities, and most certainly will not strengthen you mind’s eye as much as a field sketch. Now, I am not saying don’t take photos. I have built up a photo library of thousands of images. Buildings, streets, squares, retail, homes and everything else that I find both inspiring, and regrettable, has been photographed and archived in a digital library. 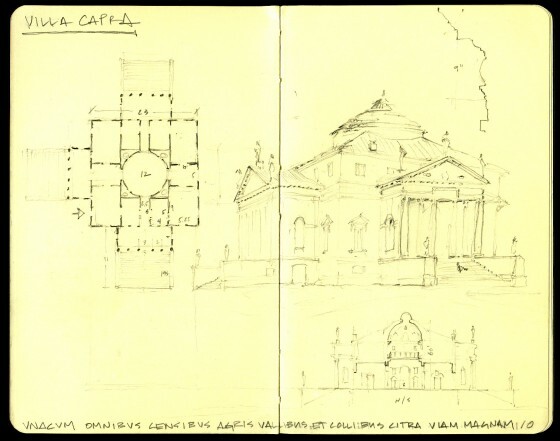 As this database has grown it has become a great addition to the travel sketches. However, make sure your digital library is well organized with tags and a smart folder structure. Having had to rebuild my library a few times, I cannot stress enough the importance of having a smart way to organize your photos that allows for quick searching. Building a great digital library in addition to your mind’s library is great, but only if you can find what you are looking for with minimal effort. I’ll post more info on the details of my Aperture digital library in later posts under this topic. There are a lot of other great exercise you can do to strengthen your mind’s eye. If you are interested in some of the theory behind this you can check out Drawing on the Right Side of the Brain: A Course in Enhancing Creativity and Artistic Confidence . 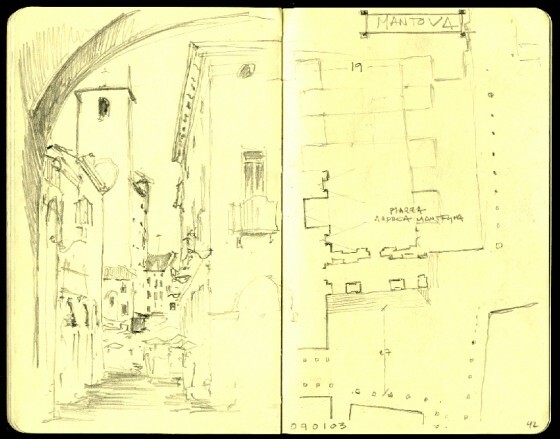 To review: carry a sketchbook, draw everything, travel and document what you find inspiring, and set up a well organized digital library to supplement the one between your ears. Stay tuned for “How to Draw Well Part 2: The Power Sketch” and “How to Draw Well Part 3: Draw Stories, Not Lines”. 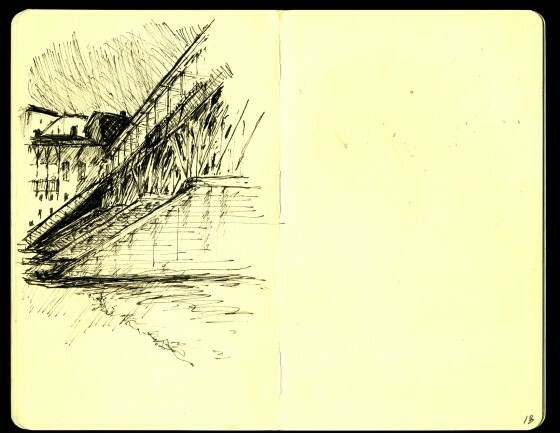 Here are a few more travel sketches for your enjoyment… let me know what you think. 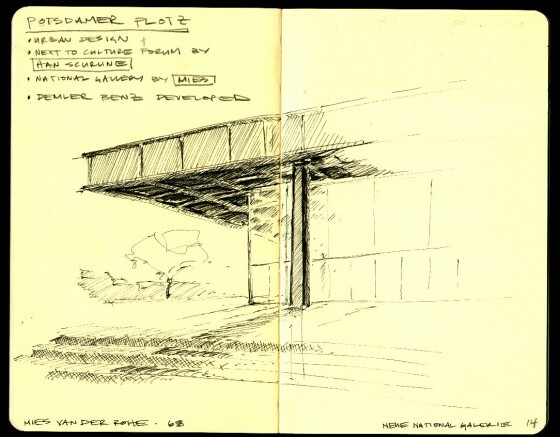 This entry was posted in Practice and tagged Art, Drawing, Education, How to, Practice, Rhode Island School of Design, RISD, Sketch, Travel on June 21, 2010 by Russell. This year’s Congress for the New Urbanism started on Wednesday. The focus is on Health and the built environment. I find it quite difficult to explain the varying connection between health and the built environment to those less informed about the complexities of urbanism. However, I think it comes down to a simple idea. Walking more is simply better for you. This can be easily illustrated by the condition at our office building in Providence. We have a great historic stair right there when you walk into the foyer. The elevator is behind the stair, out of sight and less convenient then the stair. Most everyone in our office heads right up this stair and climbs the four floors to the office. When I’m bring people to the office who are not accustom to climbing four flights you can really note the differences in fitness by the time it takes a visitor to catch their breadth. We are lucky in our office because the stair is more convenient, and, frankly, more fun to take then the clunky elevator. Our health is a unintended benefit to the way our office’s built environment function. Walkable, beautiful places are more fun to be in and therefor us humans will actually exert ourselves more to enjoy being in them. Urbanism is just like the stair in my office. More fun to be in, and improves your health. I hope to post some more health and urbanism connection soon. If you have a health and urbanism connection of your own please comment below. This entry was posted in Practice, Urbanism and tagged Health, New Urbanism, Public, Wellness on May 20, 2010 by Russell. This entry was posted in Practice and tagged Best Practices, Dallas, Experiment, Film, Placemaking, Urbanism on April 27, 2010 by Russell. 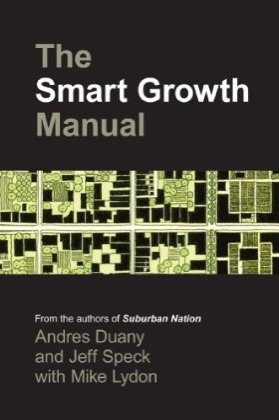 Over vacation I took the opportunity to dive into The Smart Growth Manual by Andres Duany, Jeff Speck and, fellow Living Urbanism editor, Mike Lydon. The manual is a comprehensive review of the practices that lead to the creation of smart places. I highly recommend giving it a read even if you are a seasoned practitioner. The concise text and illustrative images layout the techniques that are at the forefront of planning, urban design and architecture. The design of the book is memorable as well. I hope to see it on the desks of town planners everywhere. 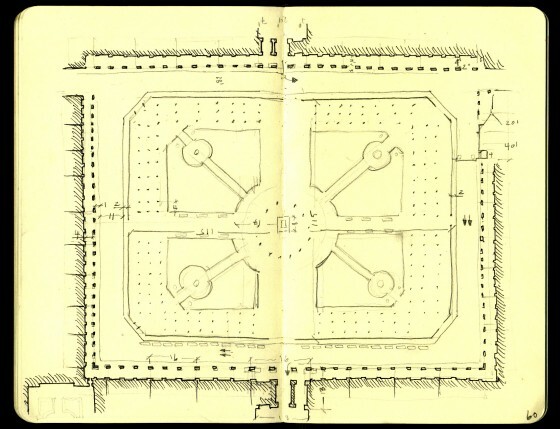 This entry was posted in Practice and tagged Andres Duany, Book Review, Jeff Speck, Mike Lydon, New Urbanism, Planning, Smart Growth, Smart Growth Manual, Sustainability on February 6, 2010 by Russell. 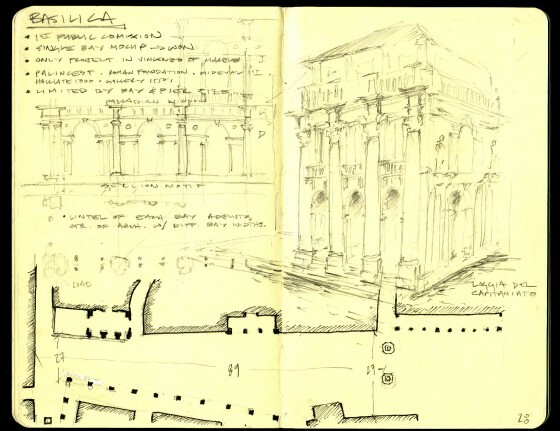 This entry was posted in Practice and tagged CNU, Film, Leon Krier, New Urbanism on December 30, 2009 by Russell. My friend Matt Grigsby is shooting interviews around Providence this fall for the Foundation. The first few in the series are available here with more on the way soon. I felt compelled to share the interview of Alec, from Nail Communication. Not only does he have some great things to say about Providence, but the video gives you a glimpse of their offices that I helped design and build last year. This entry was posted in Practice, Urbanism and tagged Film, Office Space, Providence, Providence Foundation on November 24, 2009 by Russell.